It is free for teams to play and we will be selling Buffalo Wild Wings, pizza, snacks, and drinks. 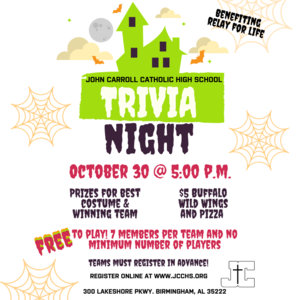 Prizes will be given to the winning trivia team and the team with the best group costume! 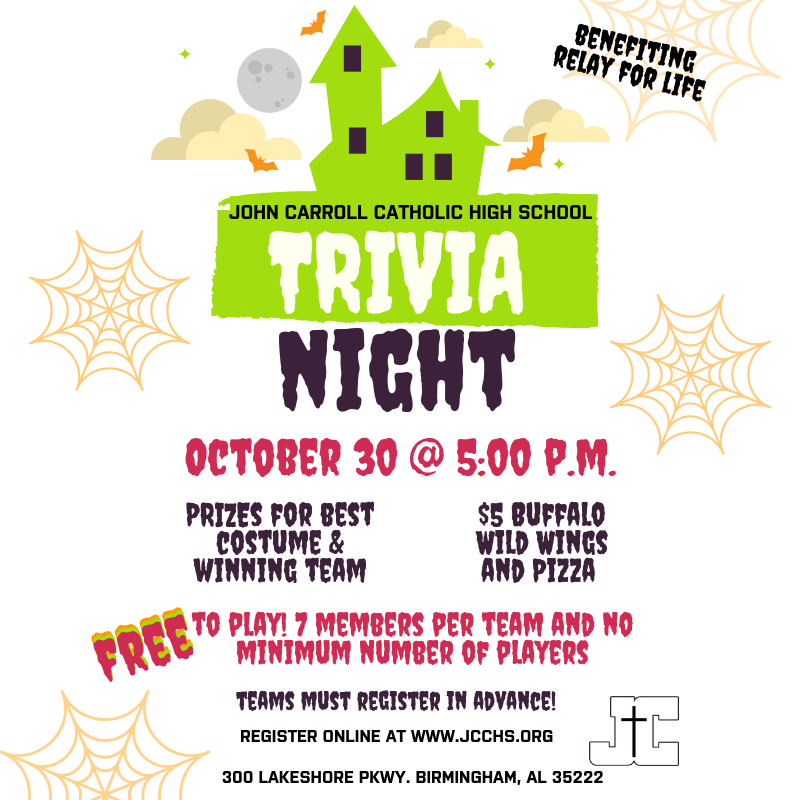 Come play Trivia with us at 5 pm on Tuesday, October 30th in the Commons.